The research guides of Carleton's Gould Library. Academic libraries are complex places. Let us help you get started. 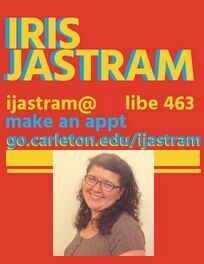 If you're a guest on our campus, check out our information for guests. Some guides may not show up here if the librarian has unpublished the guide. Others may be designated as "Archived" if much of the content is outdated. If you are looking for a guide that you do not see, please contact your librarian for assistance. What are those symbols next to some links? 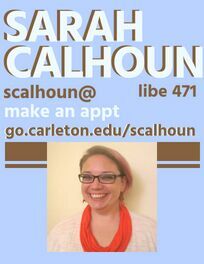 Sometimes it can get confusing which links are available to everyone and which links are for Carleton use only. 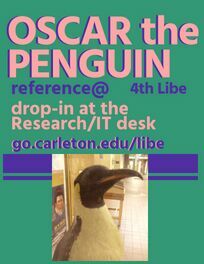 The penguin icon tells you that the resource has been licensed by the library for the use of current Carleton faculty, staff, and students. 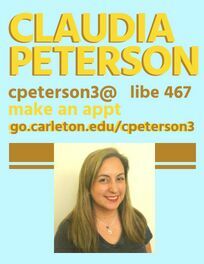 Members of the general public may use the resource while they are on the Carleton campus. The globe icon tells you that the resource is freely available on the Internet. Anyone can click on the link and use the resource. The ELM icon tells you that the resource is licensed through the Electronic Library of Minnesota. Minnesota residents have access to these and many more research databases through ELM. Find your librarian listed by academic department. 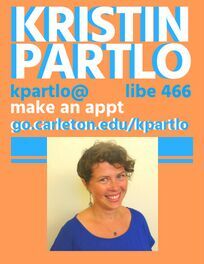 Or click on a name below for contact and scheduling information. We currently have two vacant reference librarian positions. 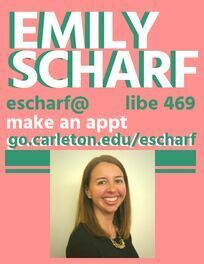 If you do not see the name of the librarian you are used to working with, please contact reference@carleton.edu or Emily Scharf with any questions or for help.